Anyone who owns a mobile phone or computer and wants to listen to podcasts, tutorials or make skype/phone calls without a cumbersome headset. 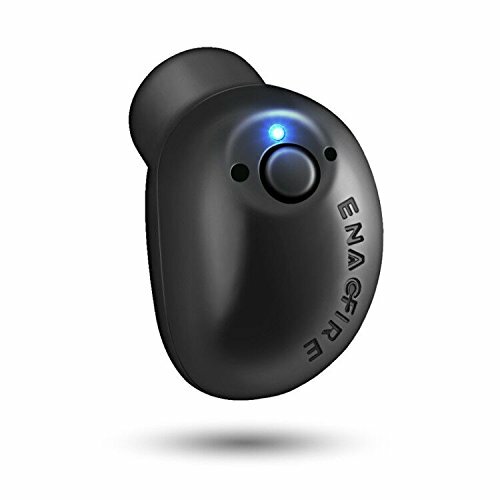 The Enacfire bluetooth earbud isn’t perfect, but hits just enough of the sweet spots to make it a truly great tool for those wanting to listen podcasts, watch tutorials or make phone and skype calls without a large headset. The problem with ears is that each one is different. This Enacfire fits my ears so painlessly it’s one of the few earbuds I don’t want to rip out of my ear after a few minutes. Definitely not the earbud to replace your favourite pair of cans, but having an inexpensive mono headset can add joy to your workouts, work and leisure. If the earbud fits, it’s a great addition to anyone who wants to listen to podcasts/tutorials and skype/facetime without a clunky headset on. So long as you can live with the limitation of bad audio sync to videos, I highly recommend you try this mono wireless earbud. Two thumbs up!